How to use cheat meals (and other tactics to Survive the Temptation Zone). How To Use Cheat Meals (thrive regardless of The Temptation Zone!). You may have heard me rant on about the need to ensure your home is a trigger free zone. Ok, so here’s my opportunity to test, survive and THRIVE regardless of The Temptation Zone! I’m house-sitting for the next couple of months. The place is Amazing. As much as I LOVE the commercial oven, the drying room, the floor heating. Not to mention enough space for indoor sprints (if I was so inclined!) I am very definitely living in a super-crazy-over-stocked-house of indulgent goodness. And UNgoodness. => We’re talking 2 boxes of mini gelato (my FAV flav caramel + zero temptation strawberry) plus the 6 boxes of various kiddies ice cream treats (including my other fav flav – hokey pokey!). => The only chocolate I like – 10 blocks of gourmet 70% dark choc. => My current #1 trigger food – Nuts – packets apon packets of organic nuts. => My old nemesis – cereal – on mass. => Take me back to the rave parties of my late teens – Chupa Chups! – 2 containers worth. 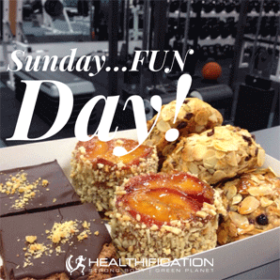 PLUS, Nougat, Organic Protein Bars, Caramel popcorn, Biscuits…. no need to go on right? 1. In any treat food category I only ever eat the BEST of my best. That’s why it’s more of a challenge when I go home to visit the fam in Noosa… mum knows my fav Nuts. Bread. Yoghurt. However here in my house-sitting haven, thankfully my best of the best is not always in stock. And second best is not worth it. Yes, that 100% is my belief. Where else do you draw the ‘crap I’ll consume’ line??? If you’re the shopper in the house this is the perfect opportunity to buy the stuff that other family members still love but that isn’t your absolute Best of the best. 2. I LOVE every meal that I eat. Satisfying. By including good fat and lean protein. Tasty. Baked veg tastes nicer than raw or steamed – but it takes longer – so I just cook baked on mass once a week and add it to the raw and steamed components. 3. Not starting is easier than limiting once you’ve opened temptation gate. I know this isn’t the case for everyone. Perhaps you can have a couple of squares of chocolate or 6 nuts and stop. I can’t. Once I start the remainder will call at me. It dominates mind space and tests my discipline constantly. It really is so much easier to just not start. 4. Enjoy a cheat meal once a week. Let’s cover this in more detail as I know cheat meals are popular! => How awesome your food is the rest of the week? And your alcohol! => How much exercise you do weekly? Both structured and incidental. => Your current body composition. The more muscle you have the faster your metabolism will be as it’s metabolically active tissue and it burns fat just sitting there looking pretty. Yah for muscle! => Whether your goal is fat loss or maintenance? => If your goal is maintenance – how tough is that level of leanness for you to maintain? For ex: I could be around 3 kilos heavier and eat bread and fruit every single day, drink 6 low carb beers weekly (in addition to the red wine and vodka I still love), eat tofu and twice as much dairy (including high sugar yoghurt daily) AND swap my long blacks to soy flat whites. These are just some of the upgrades I made to my nutrition to get to my current body composition and because where I love to stay is leaner than where my body would naturally gravitate towards I need to stick to these guidelines most of the time to keep the result I want. You’ll find it’s a delicate balance between how much you want that body and the opportunity cost you are happy to pay on an ongoing basis so far as your food and exercise. => Beyond what your body can handle so far as ‘cheating’ there is the emotional consideration. You might find it tough to switch back to your best eating plan after a whole day of off the plan eating. One day becomes one day and breakie… becomes the weekend… becomes a 3 day weekend… becomes… You get the idea! Or you might be super lethargic and bloated the next day and subsequently have crappy work-outs. I like to keep it to one meal (be it a massive one) and another mini-treat (bread another day) for this reason. Poor eating habits can creep back into my routine so much more easily than I found it to creep them out! => Either eat your cheat meal out or buy only the quantity that your intend to consume in that one sitting. Leftovers are NOT going to sit safely in your fridge or cupboard till next week… admit it, that’s simply not possible! => Poor quality food has no place in your body… even on cheat day. I’m fairly black or white on this one. You crave what you eat so maintaining your taste for cheap-fast-food-toxic-crap-o-la is a downward spiral. Indulge in quality food that you LOVE yet that would sadly stack on the weight if it was a part of your day to day routine. Gourmet pizza, pasta, home cooked biscuits or a special dessert… hot chips with your meal at a restaurant but please not the rubbish filled with addictive obesity additives that you get at a drive-through. 5. Set your personal standards or guidelines prior to entering the temptation zone. This is vital when I visit my family. As I mentioned my dear SUPER-COOK mum has the place chocka block with everything designed to jump me straight back to that aforementioned-hard-fought-for 3 kilos heavier in a weekend. => If your temptation zone is a family visit too, know it’s within your control to ask them (with love and appreciation) what NOT TO BUY (or cook) for you. It took me years to admit that I’d demolish certain treats on sight rather than making them last the whole trip. I’d keep testing my discipline and failing. Now if the treat is just for me, I request that it’s not bought/baked or that a smaller quality is bought (and not magically (!) replaced as soon as it’s guzzled). Oh, but it’s holiday time Kate – are you serious? – do you ever relax??? => Fair call! Just decide how long and to what extent you relax the guidelines before entering temptation zone. So perhaps the first night and then treat day. Or perhaps at dinner time only. Whatever is realistic for you. Maybe you’re ok to chuck on a few kilos and then work it off again or is it easier to just maintain either your current rate of fat loss or your current body composition? 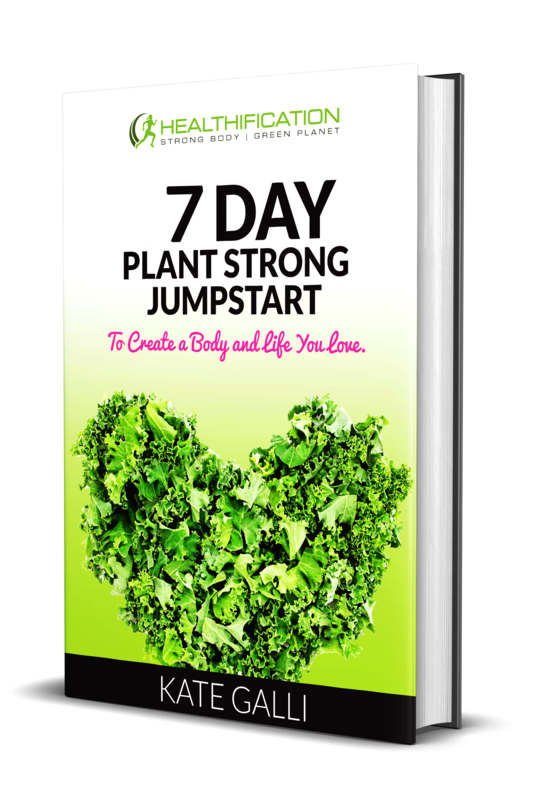 In closing, beyond all these tactics – which are vital – it comes back to an awareness and emotional connection to just how important your goal health and goal body is to you. Further, an appreciation of WHAT void you’re seeking to fill when you succumb to the temptation zone. What are you turning to food to give you? To shelter you from? Help you avoid? And how effectively is that strategy currently working for you? Food is so much to us and rightly so. It can give us Certainty. Also Variety. It’s a means for Love/Connection. Also a means for Significance and Contribution. No wonder it’s addictive! Out of all of the 6 Core Needs is food giving you Growth (!) in a resourceful way or is costly you too much? Potentially I’ve prompted more questions than I’ve prompted answers?? Love to hear your thoughts and I’m tempted to be back with a follow up post: How The 6 Core Needs explain our undeniable addiction to food.